The issuance and negotiated sale of $744.375 million aviation revenue refunding bonds last month was deemed a success by Mayor Carlos Giménez, as the series represents a net present value savings of 13.07% over 25 years. 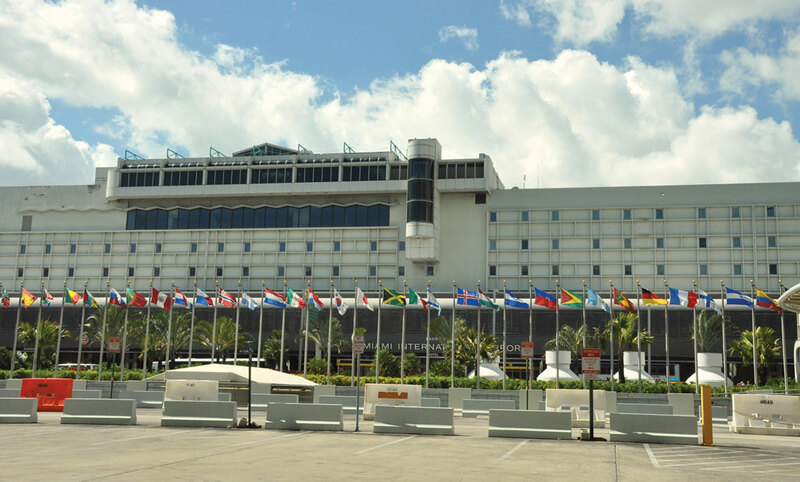 The bonds, issued to refund and redeem a portion of an outstanding series originally used for capital projects at Miami International Airport, were priced by Merrill Lynch, Pierce, Fenner & Smith Inc. on Aug. 2, sold to retail investors Aug. 2 and to institutional investors Aug. 3. According to a memo Mr. Giménez wrote to commissioners, the refunding generated debt service savings of $152.015 million over the life of the bonds, representing a net present value savings of $96.640 million or 13.07%, and a true interest cost of 3.27%. The transaction closed Aug. 25. The county applied for ratings on the bonds from top firms Fitch Ratings, S&P Global Rating and Kroll Bond Rating Agency Global, which all affirmed their ratings of A (stable), A (stable) and AA- (stable), respectively. The key credit strengths, according to S&P, are MIA’s size and niche market dominance as a US gateway airport to Latin America; historically good air travel demand, expected to be near recent levels as a result of serving a strong service area economy; and historically steady financial performance expected to continue from MIA’s residual use agreements. Fitch Ratings also assigned an A/stable outlook, which the July 25 report said reflects the airport’s strong position in the South Florida market for both domestic and international air service, and its capital program is essentially complete while the financial metrics have exhibited stability in recent years. Kroll Bond Rating Agency’s long-term rating of AA- with a stable outlook is based on several key rating strengths, according to the July 22 report. Those are that management has effectively steered MIA through its massive capital program; the southeastern US location is in relative close proximity to key Latin American and Caribbean destinations; the sizable foreign-born service area population that fosters international business and supports travel by family and friends; high yield routes temper concerns regarding high airline costs; and sound financial operations characterized by ample coverage and comfortable liquidity. “The stable outlook reflects KBRA’s expectation that passenger traffic will remain stable to slightly increasing, borrowing levels will approximate what is currently anticipated, debt service coverage levels will remain robust and non-airline revenues will continue to temper the need for significant increases in airline payments,” the report states. Factors that may contribute to a rating upgrade are “an accelerated passenger traffic growth trend with accompanying strong performance of non-aeronautical revenues lowering airline [cost per enplanement],” Kroll states. In June, county commissioners authorized issuing aviation revenue refunding bonds up to $750 million at a savings of $79 million over 25 years. The finance department’s bond administration division then prepared a preliminary official statement to the marketplace setting a sale date to buy the bonds. The statement outlined pertinent information on Miami-Dade’s credit and the bonds’ details such as duration and interest rates.